When Ontario last drafted a strategic plan for the delivery of comprehensive mental health services, the Mental Health Commission of Canada didn’t even exist. Today we are still implementing mental health recommendations from Ontario’s Health Restructuring Commission issued in 1998. Much of the basis for that report would have come from data generated in the mid to early 1990s. That’s about 20 years ago. None of the recommendations contained in last year’s national strategy would have been in play. Nor would the health restructuring commission have been faced with the more recent and alarming projections on the rise in dementia anticipated by the Alzheimer’s Society. Nor would they have known about the links between mental illness and rising levels of economic inequality, or that Canada under the Harper government would pursue such a reckless path to the point where levels of inequality are rising faster here than most other developed nations on the planet. That’s a long time to pursue a single plan, especially without any evaluation in-between to see how implementation has been working. There is likely reluctance on the part of the province to do such an evaluation because it is so self-evident that it is not working. Even the all-party legislative committee looking at mental health could see the huge challenges before us and had their own lengthy list of reforms – most of which never emerged off the pages of their final 2010 report. When David Caplan briefly sat in the Health Minister’s chair, he did promise a new 10-year mental health plan for Ontario. We never got it. Instead Health Minister Deb Matthews’ concern never extended beyond a plan for children and youth that is now in its final year of implementation. Nobody knows what comes next. 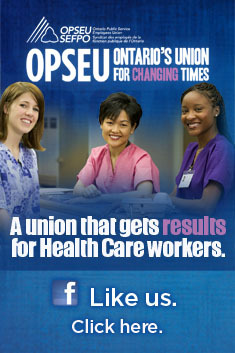 They are certainly not consulting the front line workers that have to pick up the pieces of failed policy initiatives. Part of the problem of that original 1998 plan is that the government only followed half the advice. They stuck doggedly to the bed cuts at the province’s psychiatric hospitals, but were less interested in providing equivalent scale services in the community. Nor were they interested in ensuring the services first existed before making the bed cuts. Kingston’s Providence Care has been reducing beds and staff as part of that plan. This week we learned that as many as one in five jobs at the hospital will be eliminated as part of the process of meeting these out-of-date targets. Worst still, the province is embarking on replacing the aging facility based on the same assumptions. The former Kingston Psychiatric Hospital has plenty of beds, just not the staff to operate them. Of the beds that are staffed, there are fewer staff than there used to be to deal with a patient population that is increasingly high needs. Further, new approaches to care are far more labour intensive and hospitals are quick to discipline when workers try to cope without appropriate resources at hand. The hospital is in a rush to get this done – they want workers occupying those eliminated jobs gone by March 2014 when a section of the hospital will have to be torn down to make way for the footprint of the new privatized hospital. To the union it appears the hospital administration has decided to take an aggressive stance towards elected union representatives who are raising red flags about safety for both workers and patients in the rush to “restructure” the place. This is hardly productive. You don’t have to have an MBA to realize a demoralized workplace is hardly an efficient one. Going into a major transition with this state of affairs is a recipe for disaster. Kingston is not the first psychiatric hospital to undergo this kind of turmoil. The lack of a modern and progressive plan leaves administrators fighting with front line workers and their unions over how to best cope with what is often a bad situation. While each hospital embarks on its own reforms and best practices, it is evident when workers get together that such reforms and best practices are not consistent from one health provider to another. The data on such issues as staff injuries and critical incidents clearly show these differences. There is a huge void when it comes to consistent direction on mental health services. Whereas the McGuinty/Wynne government has been justifiably critical of the Mike Harris years that preceded it, they don’t have any problems still implementing the mental health plan from that government’s time in office. Is it because they really believe in the Harris-era plan, or is it they just don’t think about mental health in the same way they regard other health services? One of the biggest changes since the 1998 plan is the way Ontarians view mental health. Groups like Partners for Mental Health and the Mental Health Commission of Canada have done much to address the issue of stigma. It could be that we’re finally ready to address the issues of mental illness in this province. The question is, is the Wynne government also ready to do so? This entry was posted in Mental Health and tagged David Caplan, Deb Matthews, Kingston Providence Care, mental health bed cuts, Select Committee on Mental Health. Bookmark the permalink. The politicians Will only try to change the problem when it affects their loved ones. They don’t care about anyone. It is about the greed of money. Seriously we call this Country Canada. Wow. Just take care of the people that pay your wages. That would be us the people of this country.